Community involvement is in Rubina’s blood. A longtime resident of Glendale, it was very clear from a young age that her interests and talents were in arts, entertainment, communications and business. Rubina has been a worldwide recognized media figure since the nineties. Her show was the first to be telecast across the world reaching all the Armenians around the world. It is no surprise to her parents that her talk shows are embraced by her community for her efforts in entertaining, educating, positively educating, bridging communities and advocating for the underprivileged. For the last 20 years, Rubina has made it her business to assist local doctors, attorneys, and other businesses in helping with marketing activities to start up their businesses. In 2007, Rubina lead a team of doctors who traveled to Armenia to perform surgeries to underprivileged families. She also helped raising funds for surgical equipment to be donated to various Armenian hospitals. Rubina is active in many non for profit organizations. She was actively involved in the City of Glendale elections. Currently, she is a board member of Absolute Control Transitional Counseling Center. Her efforts in giving back to the community have earned her many awards including the Congressman Adam Schiff’s 2014 Woman in Media Award. Other awards include City of Glendale Mayor Dan Weaver Commendation Award 2014, City of Burbank Certificate of Recognition 2014, and California Legislature Assembly Certificate of Recognition from Mike Gatto, County of Los Angeles Michael Antonovich 2014, City of Los Angeles Eric Garcetti 2014, and Senator Carol Liu’s Women in Excellence 2014 Woman in Media, California Legislature Assembly from Adrin Nazarian 2014. As well as 3 awards from the Armenian Chamber of Commerce. Currently, Rubina hosts the Rubina Live talk show. 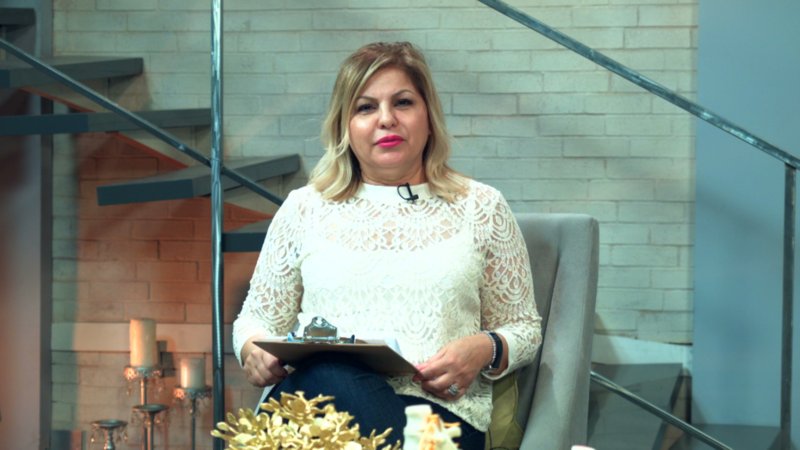 The show is very informative and it includes guest appearances of famous artists, doctors, lawyers and other professionals serving the Armenian community within Southern California. It airs from Monday to Friday, at 7:30pm and reruns at 3:00am and 12:30pm the next day.